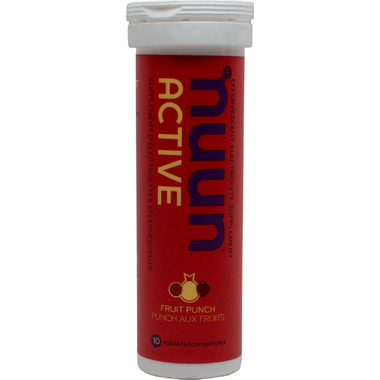 You sweat - Nuun Active replenishes! Nuun Active Hydration tablets contains superior blend of electrolytes without added sugars; they have has a light-refreshing taste that promotes the consumption of water. Directions: Added to water, each tablet makes one 16 oz drink. Active Ingredients: Sodium, potassium, calcium, magnesium, vitamin-c, d-glucose. Great taste. Great product. No aftertaste or leftover residue.